Whenever I tell my friends, or anybody (don't ask how it comes up), that I use almond oil for my skin, their response goes along the lines of, "You can't do that.. It goes against the laws of the universe! You cannot put oil on your FACE." And I'm just as surprised as they are that they have no clue that oils (especially essential oils) have been used as an effective and royal beauty treatment for skin and hair for centuries. Now, I'm not saying put cooking oil on your face to look beautiful... There are certain oils out there that are very good for your skin, and are applied in those expensive, high end, quality moisturizers that a lot of people waste their money on. The main, effective ingredient in these products is normally the OIL. 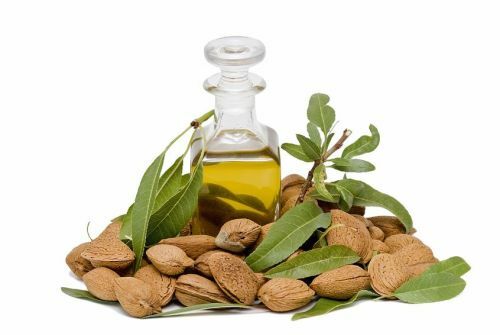 And in my experience, I've found that sweet almond oil, a lightweight, golden oil made by pressing sweet almonds, is the most cheap and effective oil for your skin on the market. People who secrete too much sebum from their sebaceous glands (people who have oily skin) tend to have trouble with acne. The sebum secreted from these glands is what causes your pores to get blocked up and can lead to acne. What almond oil does for this is basically dissolve these oily blockages, clean the pores, and while doing this, it actually repairs your skin. Almond oil acts as a skin moisturizer and keeps the skin healthy and therefore less prone to acne, blemishes and gives you an overall healthy glow. Take a look below for benefits of almond oil for your skin. 1) It smooths, moisturizes and softens skin. It absorbs into the skin deeply and effectively. 2) It is relatively cheap when compared to other skin products. You can get a 16oz bottle of almond oil for $12 and it can last for months if used only for your face (about a few weeks to a month if used for entire body). 3) It effectively lightens dark circles on skin. 4) Noticeably reduces and prevents acne (if used in moderate amounts). 6) It is the best massage oil. Ever. 7) Can cure chapped lips and rashes. 8) Delays the aging process of skin! What could be better than that? HOWEVER, there is ONE thing you have to look out for... allergies. Although sweet almond is a nut that most people would be much less prone to be allergic to and is very gentle to the skin (very if you have sensitive skin), if you are allergic to nuts, test it out on a small area on your arm and wait a day or two to see the effect. If any redness or rash occurs, it is not recommended to rub that all over your face and body. 1) First of all, wash your hands and face of any dirt or bacteria. 2) Place about 6 drops on the palm of your hand and rub palms together in a circular motion. 3) Spread the oil evenly throughout your face. 4) Spread any excess almond oil on your hands as an effective hand moisturizer. TIP* It is actually OPTIONAL to wash your face before applying on almond oil. Rubbing almond oil on your face actually tends to clean dirt and other substances that may be lurking. But it is recommended to wash before applying to increase effectiveness. Almond oil also has other applications other than for your skin. It is also VERY good for your hair due to the fact that it is such an effective moisturizer. It strengthens hair, prevents thinning, controls hair loss, and it leaves a nice, clean shine. You can add a little bit to your shampoo and watch the effects of the oil leave your hair beautiful. Almond oil is also edible and very healthy to eat as it brings a nutty flavor to a dish and adds a nice zing to deserts. Almond oil is packed with Vitamin E and some essential minerals such as magnesium and calcium, so why not add a little bit into your daily routine? After all, a healthy body brings a healthy mind. And skin.